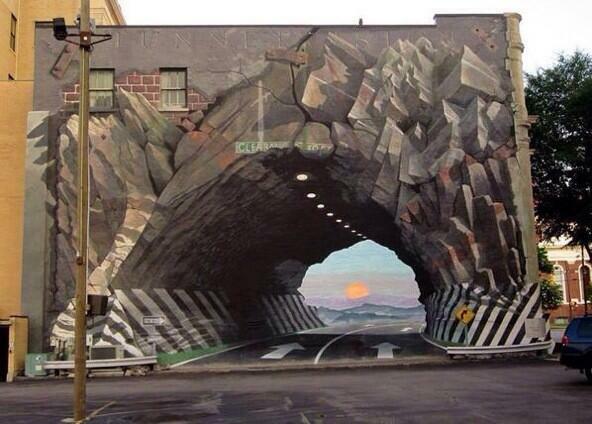 Coming upon street art like this can make you feel like you’ve entered another world. These photos from the popular Twitter account 3D Streetarts showcase street art designs that turn the ground we walk on into a three-dimensional landscape. The beautiful, surreal drawings play mind games with us, tricking our eyes and brains into thinking the flat surface has actual depth. This 3D street art reminds us that we only need a little imagination to transform the world around us into something wildly different. made me stop and ponder, "how do they do that?"